The Department of Labor (DOL) collected more than $1.6 billion in fines in fiscal year 2013 and has hired 700 new agents to enhance its enforcement and plan audit efforts. As a result of an uptick in DOL audits, those employers that might not have been targeted before are now being targeted, regardless of size, industry, or location. What we have come to learn is that the easier and smoother an employer makes the audit process for the auditor, the less painful the audit will be for the employer. What may have been scheduled as a multi-day audit can instead be wrapped up in a matter of hours. Preparation and organization are vital. Recently, it seems that the audit letters received by employers grant a short window of time until the on-site field investigation is scheduled to take place, thereby making adequate preparation almost impossible, particularly when one considers the fact that many of the documents requested need to be obtained from third parties. Therefore, upon receipt of the DOL audit letter, an employer should immediately contact the DOL investigator assigned to the case and ask for a 30-day extension. This will give the employer some breathing room to collect and organize the necessary information. Break down what the DOL wants. Along with the audit letter, the employer will receive an attachment that lists the various documents and information requested. Sometimes, requests such as “Materials describing …” or “samples of …” are vague. It is important to identify exactly what documents and information will be responsive to each request before the collection process can begin so you have a thorough, exhaustive list of what documents to obtain and from whom to request them. Collection of requested documents and information. Having created a detailed list of the necessary documents, it is now time to reach out to carriers and relevant third parties to obtain the necessary documentation. As the documents arrive, each should be indexed in a folder according to the DOL request to which each is responsive. For example, if the DOL request number 1 seeks “plan document and all amendments,” then the employers’ wrap document should be identified to respond to this particular request. It is also wise to designate sections of documents or excerpts from plan documents that may be responsive to a particular request and have those provisions copied separately so that the auditor does not have to search for the information relevant to the request. The more specific and narrow the employer is in providing the information, the easier it will be for the auditor to review it. Provide a roadmap. To make the process even more efficient, provide a log detailing the request number, the item description and the responsive documentation including any necessary comments so that the auditor has a master list from which he or she can work. The list helps to demonstrates that every request has been met and, if not, the reason why such documents are not available, or why such information is not applicable and does not exist. 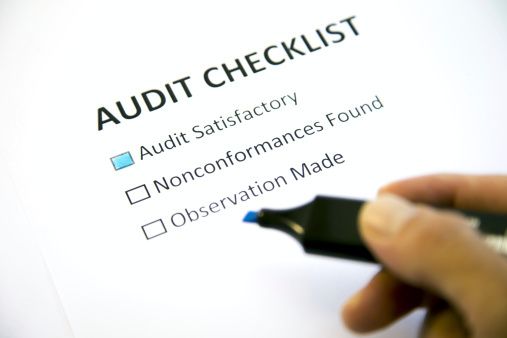 Whatever process the employer chooses to follow in order to prepare for the on-site investigation, preparation, organization, and accessibility of information are critical to an efficient audit.